Queenstown Airport Corporation (QAC) raked in a whopping $76,000 in parking fines over the past three years for tickets issued on its land. 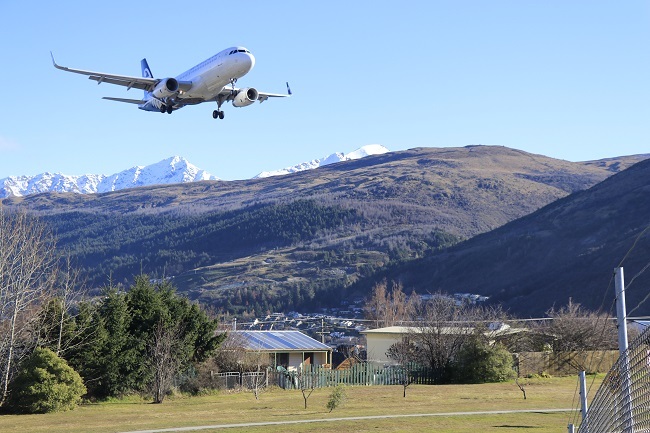 QAC staff issue parking tickets around the airport zone and the corporation receives 75 per cent of income from fines collected by Queenstown’s coun-cil. The airport receives money from paid fines to assist with "associated operational costs” but spokeswoman Naomi Lindsay won’t disclose the percentage it gets back from the council after sending an invoice. But the council revealed to Mountain Scene the slice of its income from parking fines paid to the airport. The fines totalled $125,710 in the past three financial years. Of those, $101,475 were paid by the motorists caught. The airport received its 75 per cent share for all three years during the 2017/18 financial year, ended June 30. Lindsay says fines are issued by staff "anywhere on airport land that has compliance signage in place”. This includes the park and ride carpark, the airport’s staff carpark and other parking facilities on QAC land. A breakdown of the figures for each year shows a sharp rise in fines issued by QAC between the 2016 and 2017 financial years. The figure tripled between the two years, rising from $20,260 to $60,788. By comparison, the total amount of fines issued in the past financial year dropped to $44,662. More than $7000 worth of fines issued were written off in each of the past two financial years. Lindsay says the airport hasn’t changed its parking fines policy over the three years. Scene reported in June the local authority had made almost $4 million from parking charges, fines and regulatory fees in just nine months during the past financial year. The council only expected to bank about $2,860,000 during this period. Stricter rules around parking in the CBD have already been introduced. New measures to crack down on parking in Frankton have also recently been approved by the council.